Team spirit and morale is vital at sea in order to get the best from your crew. 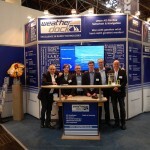 With TV-at-Sea™ from Sea Tel and SAILOR, it is easy to enhance life on board and do your part for crew welfare. Once you have decided to install satellite TV, you need a system that is up to the job; Our TV-at-Sea™ systems are made to be the toughest, highest quality available, because we know that a vessel’s television has to keep on working even in the toughest conditions. 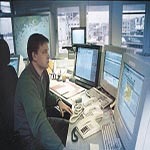 SAILOR and Sea Tel TV-at-Sea™ make it simple and cost-effective to provide a basic welfare service. You can choose regional systems or true global reception without the need to manually reconfigure the system when moving between satellites, which means when your operations move, you don’t need to spend time configuring your satellite television systems. Other technical features that set our TV-at-Sea™ solutions apart include accommodation for any number of satellite receivers, which means multiple televisions on board can show different channels. Large vessels crossing deep oceans or workboats and yachts operating in coastal regions can enjoy reliable satellite television services practically anywhere with our TV-at-Sea solutions. Technical features include high performance closed-loop stabilisation and satellite tracking, enabling continuous and reliable television reception even in the world’s most remote regions. 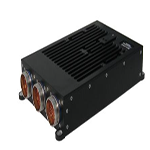 Powerful military and aerospace-tested integral electronics including high accuracy accelerometers and Bluetooth adaptors enable continuous calculation of position, orientation and velocity vector of a moving object without the need for external references – so you get great television, regardless of outside conditions. The 60-inch Sea Tel ST60 Satellite TV combines cutting-edge design with TV-at-Sea capabilities for high-performance C-Band digital TV and music reception on a global basis. 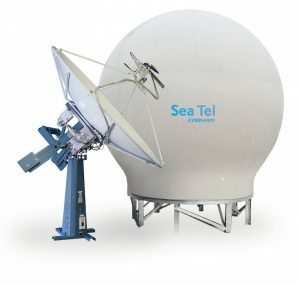 Sea Tel ST60 Satellite TV features a cutting-edge pedestal based on Sea Tel’s leading XX09 antenna platform and highly-efficient back-fire feed, delivering high-quality satellite programming anywhere in the world. 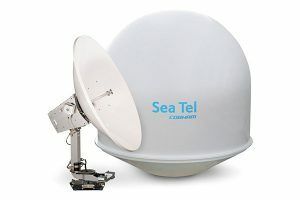 Sea Tel ST60 Satellite TV’s pedestal design enables users to watch TV even in some of the world’s most remote waters via global circular C-band services. Sea Tel ST60 Satellite TV system has been protected against motion and connection interference to ensure consistency of operation and unspoilt viewing pleasure for everyone on board. Sea Tel ST60 Satellite TV’s complete antenna stabilisation system including proprietary antenna control and fast-track signal lock software detects the slightest motion and compensates / corrects accordingly. Sea Tel ST60 Satellite TV supports any number of satellite receivers so many TVs can be installed and individually programmed for the enjoyment of everyone on board. Sea Tel ST60 Satellite TV is compatible with most C-Band HDTV and Broadcast services worldwide for digital TV and music programming, so with the ability to have as many TVs on board as you like, everyone can watch their favourite programmes. With Sea Tel ST60 Satellite TV system you can operate with the confidence that passenger and crew enjoyment of satellite TV and radio will remain uninterrupted regardless of the course and number of turns the vessel makes. Because Sea Tel ST60 Satellite TV features Unlimited Azimuth range, which secures continuous reception using a rotary joint, which means no waiting to unwrap antenna cables, vessels with complex routes such as survey ships can be sure of a reliable signal at all times. A built-in GPS antenna and proprietary algorithms give Sea Tel ST60 Satellite TV swift satellite acquisition and navigation capabilities. The 2.1-metre Sea Tel ST88 Satellite TV system delivers seamless satellite TV and music programming via Ku or C-Band to large vessels operating in coastal regions. 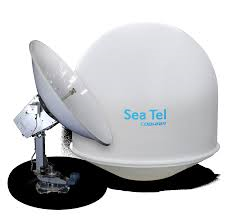 Sea Tel ST88 Satellite TV is a reliable, intelligent TV-at-Sea system, packed with electronic innovation. It continuously calculates position, orientation and velocity for smart, seamless satellite TV on large vessels that operate in coastal regions. 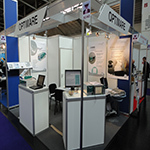 The system’s advanced electronics enhance system awareness – including LED indicators for troubleshooting, USB port for BlueTooth adaptor and digital control interface between the motor driver and PCU for improved communications whilst high-accuracy accelerometers enhance positioning for a better service. Sea Tel ST88 Satellite TV supports any number of satellite receivers so many TVs can be installed and individually programmed for the enjoyment of everyone on board. Crew and passengers can enjoy digital TV and music programming from leading providers in some of the world’s most remote waters, so by installing Sea Tel ST88 you can enhance crew welfare and increase passenger satisfaction, regardless of what coastline you operate on. 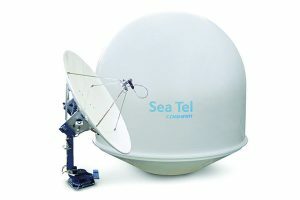 Sea Tel ST88 Satellite TV is available in C-band and Ku-band configurations or ‘dual-band’ configuration that permits the same antenna to be used for both. 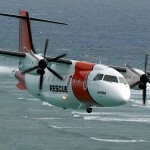 It is also is designed and built to pass the U.S. Navy’s tests for vibration, shock and protection against RFI and EMI emissions. The micro-electromechanical (MEM) sensors used in Sea Tel’s antennas are based on the same technology currently being used in missile and aerospace technology around the world. This high-end quality in combination with our unmatched satellite TV manufacturing experience ensures you can count on Sea Tel ST88 Satellite TV to keep working in any conditions. Sea Tel ST88 Satellite TV has been protected against motion and connection interference to ensure consistency of operation and unspoilt viewing pleasure for passengers in inclement conditions. Sea Tel ST88 Satellite TV’s complete antenna stabilisation system including proprietary antenna control and fast-track signal lock software detects the slightest motion and compensates / corrects accordingly. With Sea Tel ST88 Satellite TV system you can operate with the confidence that passenger and crew enjoyment of satellite TV and radio will remain uninterrupted regardless of the course and number of turns the vessel makes. Because Sea Tel ST88 Satellite TV features Unlimited Azimuth range, which secures continuous reception using a six-channel rotary joint, which means no waiting to unwrap antenna cables, vessels with complex routes. 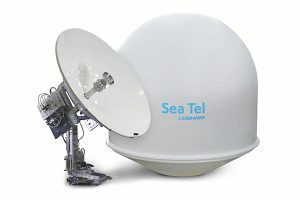 Users requiring a large offshore operating area choose Sea Tel ST94 Satellite TV, a 2.4-metre dual band TV-at-Sea system with class-leading reflector, radome, RF components and pedestal. Sea Tel ST94 Satellite TV is a reliable, intelligent TV-at-Sea system, packed with electronic innovation. 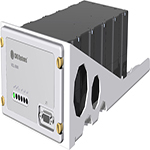 It continuously calculates position, orientation and velocity for smart, seamless satellite TV for offshore applications where space is at a premium. The system’s advanced electronics enhance system awareness – including LED indicators for troubleshooting, USB port for BlueTooth adaptor and digital control interface between the motor driver and PCU for improved communications whilst high-accuracy accelerometers enhance positioning for a better service. Sea Tel ST94 Satellite TV supports any number of satellite receivers so many TVs can be installed and individually programmed for the enjoyment of everyone on board. Crew and passengers can enjoy digital TV and music programming from leading providers in some of the world’s most remote waters, so by installing Sea Tel ST94 Satellite TV you can enhance crew welfare and increase passenger satisfaction when operating deep offshore. 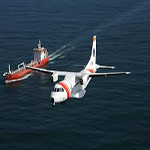 Cobham SATCOM TV-at-Sea antennas are designed and built to exacting standards. 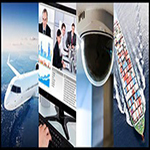 We develop and integrate innovative, cutting-edge technology to ensure high performance and reliability in the maritime arena, resulting in hardware that service providers and end-users can trust. The micro-electromechanical (MEM) sensors used in Sea Tel’s antennas are based on the same technology currently being used in missile and aerospace technology around the world. This high-end quality in combination with our unmatched satellite TV manufacturing experience ensures you can count on Sea Tel ST94 Satellite TV to keep working in any conditions. Sea Tel ST94 Satellite TV has been protected against motion and connection interference to ensure consistency of operation and unspoilt viewing pleasure for passengers in inclement conditions. Sea Tel ST94 Satellite TV’s complete antenna stabilisation system including proprietary antenna control and fast-track signal lock software detects the slightest motion and compensates / corrects accordingly. With Sea Tel ST94 Satellite TV system you can operate with the confidence that passenger and crew enjoyment of satellite TV and radio will remain uninterrupted regardless of the course and number of turns the vessel makes. Because Sea Tel ST94 Satellite TV features Unlimited Azimuth range, which secures continuous reception using a six-channel rotary joint, which means no waiting to unwrap antenna cables, vessels with complex routes. Sea Tel ST144 Satellite TV is our 3.6-metre flagship TV-at-Sea system providing the largest offshore operating area and compatibility with all satellites. 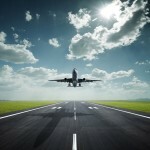 Hundreds, even thousands of crew and passengers can enjoy digital TV and music programming from leading providers almost anywhere in the world. When you install Sea Tel ST144 Satellite TV you increase passenger satisfaction during long cruises and enhance crew welfare on large offshore installations. Sea Tel ST144 Satellite TV supports any number of satellite receivers so many TVs can be installed and individually programmed for the enjoyment of everyone on board. 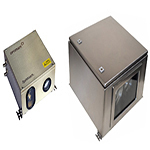 It’s size and operational reach make it suitable for the most demanding applications. Sea Tel ST144 Satellite TV is a reliable, intelligent TV-at-Sea system, packed with electronic innovation. It continuously calculates position, orientation and velocity for smart, seamless satellite TV. For vessels and rigs large enough to accomodate this cutting-edge system, Sea Tel ST144 Satellite TV is the ultimate TV-at-Sea platform. The system’s advanced electronics enhance system awareness – including LED indicators for troubleshooting, USB port for BlueTooth adaptor and digital control interface between the motor driver and PCU for improved communications whilst high-accuracy accelerometers enhance positioning for a better service. 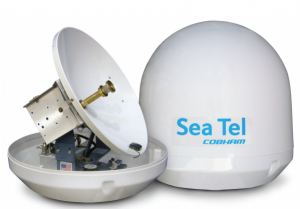 Cobham SATCOM TV-at-Sea antennas are designed and built to exacting standards. We develop and integrate innovative, cutting-edge technology to ensure high performance and reliability in the maritime arena, resulting in hardware that service providers and end-users can trust. The micro-electromechanical (MEM) sensors used in Sea Tel’s antennas are based on the same technology currently being used in missile and aerospace technology around the world. This high-end quality in combination with our unmatched satellite TV manufacturing experience ensures you can count on Sea Tel ST144 Satellite TV to keep working in any conditions. Sea Tel ST144 Satellite TV has been protected against motion and connection interference to ensure consistency of operation and unspoilt viewing pleasure for passengers in inclement conditions. Sea Tel ST144 Satellite TV’s complete antenna stabilisation system including proprietary antenna control and fast-track signal lock software detects the slightest motion and compensates / corrects accordingly. With Sea Tel ST144 Satellite TV system you can operate with the confidence that passenger and crew enjoyment of satellite TV and radio will remain uninterrupted regardless of the course and number of turns the vessel makes. Because Sea Tel ST144 Satellite TV features Unlimited Azimuth range, which secures continuous reception using a six-channel rotary joint, which means no waiting to unwrap antenna cables, vessels with complex routes. 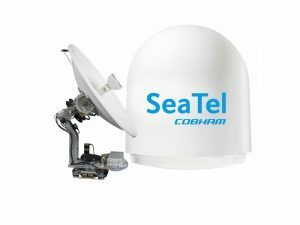 Cobham SATCOM’s Ku-Band TV-at-Sea features a number of innovations including multi-polarisation and a programmable LNB to guarantee high-quality global TV reception. It’s built to withstand the challenging conditions at sea and is fitted via a single cable installation – a unique feature in the maritime satellite TV market – for quicker, more cost-effective installation. 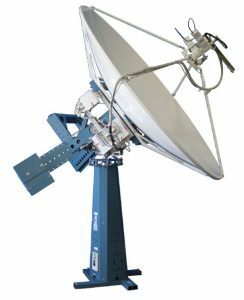 These systems provide truly global TV reception – from Alaska to the Med and the North Sea, and don’t even require manual reconfiguration when moving between satellites. In the unlikely event your SAILOR 90 Satellite TV World system delivers less than smooth sailing, Cobham SATCOM’s network of skilled service professionals is always nearby. Our On Board Service Centers use highly trained technicians and are strategically placed to ensure prompt, professional and quality service – without costly downtime in port. 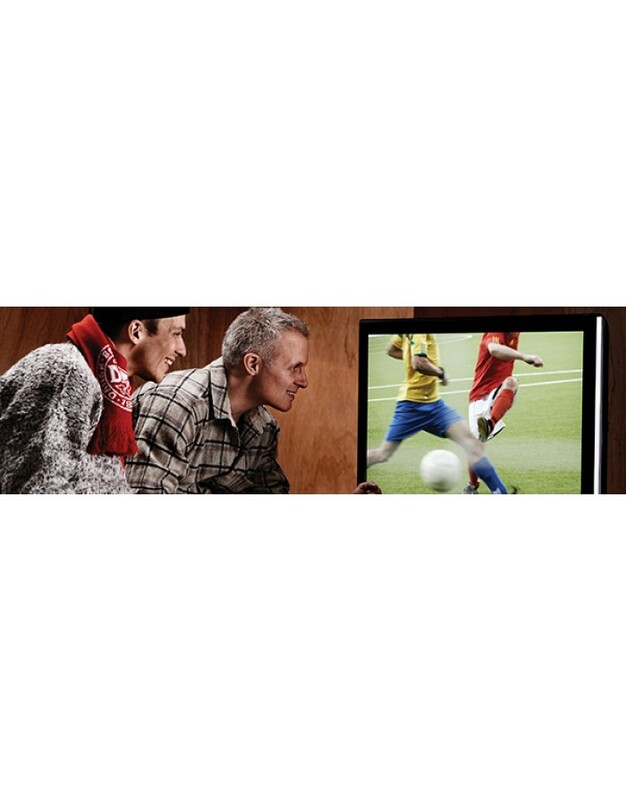 Don’t leave your favourite programmes on a cliff hanger or miss the big game just because you’re spending time sea. With Sea Tel 3004 Ku-band TV-at-Sea you get high reliability, great picture quality and simple installation and operation. Sea Tel 3004 Satellite TV receives DVB services from global providers including DirecTV™, DISH Network™, Bell TV™, Hotbird, Sky, Orbit and DirecTV Latin America (DLA)™, so you can be confident that there will always be something worth watching. 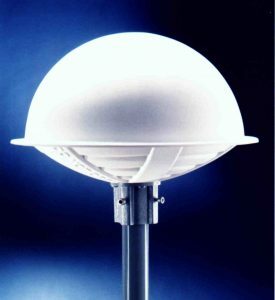 Sea Tel 3004 Satellite TV features a compact and attractive 40-inch radome antenna, styled in white, which delivers high-performance TV-at-sea while complementing the design of recreational vessel. The lightweight, unobtrusive 40-inch dome is discreet, yet powerful enough for automatic satellite positioning that securely locks on using its precision built-in GPS receiver. Sea Tel 3004 Satellite TV can accommodate any number of satellite receivers, meaning your passengers and crew can each enjoy their own choice of programming. Multiple televisions can be installed on board, each receiving individual programming from its very own satellite receiver giving passengers and crew independent viewing. 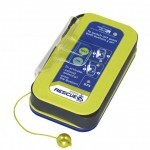 Ideal for when you have guests or to ensure your crew are happy in their jobs. Featuring a sophisticated 3-axis closed loop antenna stabilisation system with proprietary antenna control and fast-track signal lock software, Sea Tel 3004 Satellite TV system negates motion and connection interference. This advanced technology ensures consistency of operation and unspoilt viewing pleasure. Sea Tel 3004 Satellite TV detects the slightest motion and compensates/corrects accordingly, so even in rough seas everyone on board can enjoy uninterrupted viewing. Sea Tel 3004 Satellite TV provides solid reception and dependable performance so you, your guests and your crew can always relax and enjoy satellite entertainment when it suits them. Sea Tel 4004 Satellite TV is a powerful 40-inch satellite TV antenna bringing your favourite programmes to you on the open water and over the roughest seas. Don’t leave your favourite programmes on a cliff hanger or miss the big game just because you’re spending time sea. With Sea Tel 4004 Satellite TV you get high reliability, great picture quality and simple installation and operation. Sea Tel 4004 Satellite TV receives DVB services from global providers including DirecTV™, DISH Network™, Bell TV™, Hotbird, Sky, Orbit and DirecTV Latin America (DLA)™, so you can be confident that there will always be something worth watching. 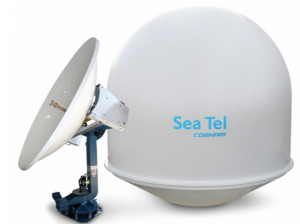 Sea Tel 4004 Satellite TV features a compact and attractive 50-inch radome antenna, styled in white, which delivers high-performance TV-at-sea while complementing the design of your vessel. The lightweight, unobtrusive 50-inch dome is discreet, yet powerful enough for automatic satellite positioning and securely locks onto them using its precision built-in GPS receiver. Sea Tel 4004 Satellite TV can accommodate any number of satellite receivers, meaning your passengers and crew can each enjoy their own choice of programming. 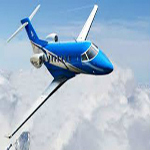 Multiple satellite receivers mean many television sets can be installed onboard, each receiving individual programming from its very own satellite receiver giving passengers and crew independent viewing. Featuring a sophisticated 3-axis closed loop antenna stabilisation system with proprietary antenna control and fast-track signal lock software, Sea Tel 4004 Satellite TV system negates motion and connection interference. This advanced technology ensures consistency of operation and unspoilt viewing pleasure. Sea Tel 4004 detects the slightest motion and compensates/corrects accordingly, so even in rough seas everyone on board can enjoy uninterrupted viewing. Sea Tel 4004 Satellite TV provides solid reception and dependable performance around the globe, whether sailing blue waters or working at sea, so guests, passengers and crew can always relax and enjoy satellite entertainment when it suits them. Whether cruising for leisure or working on a ship, don’t leave your favourite programmes on a cliff hanger or miss the big game just because you’re spending time sea. With Sea Tel 5004 Satellite TV you get high reliability, great picture quality and simple installation and operation. Sea Tel 5004 UA Satellite TV 50-inch antenna features Unlimited Azimuth (UA) range for uninterrupted satellite television reception regardless of how many turns a vessel makes. With Sea Tel 5004 UA Satellite TV system you can operate with the confidence that passenger and crew enjoyment of satellite TV and radio will remain uninterrupted regardless of the course and number of turns the vessel makes. Because Sea Tel 5004 UA Satellite TV features Unlimited Azimuth range, which secures continuous reception using a six-channel rotary joint, which means no waiting to unwrap antenna cables, vessels with complex routes such as survey ships can be sure of a reliable signal at all times. Whether cruising for leisure or working on a ship, don’t leave your favourite programmes on a cliff hanger or miss the big game just because you’re spending time sea. With Sea Tel 5004 UA Satellite you get high reliability, great picture quality and simple installation and operation. 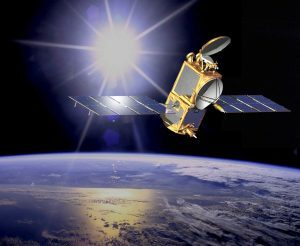 Sea Tel 5004 UA Satellite receives DVB services from global providers including DirecTV™, DISH Network™, Bell TV™, Hotbird, Sky, Orbit and DirecTV Latin America (DLA)™, so you can be confident that there will always be something worth watching. Sea Tel 5004 UA Satellite features a compact and attractive 60-inch radome antenna, styled in white, which delivers high-performance TV-at-sea while complementing the design of your vessel. Sea Tel 5004 UA Satellite can accommodate any number of satellite receivers, meaning your passengers and crew can each enjoy their own choice of programming. 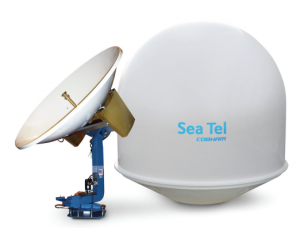 Featuring a sophisticated 3-axis closed loop antenna stabilisation system with proprietary antenna control and fast-track signal lock software, the Sea Tel 5004 UA Satellite system negates motion and connection interference. This advanced technology ensures consistency of operation and unspoilt viewing pleasure. Sea Tel 5004 UA Satellite detects the slightest motion and compensates/corrects accordingly, so even in rough seas everyone on board can enjoy uninterrupted viewing. Sea Tel 5004 UA Satellite provides solid reception and dependable performance around the globe, whether sailing blue waters or working at sea, so guests, passengers and crew can always relax and enjoy satellite entertainment when it suits them. Ensure that passengers and crew don’t leave their favourite programmes on a cliff hanger or miss the big game just because they are at sea. With Sea Tel 6004 Satellite TV you can provide get high reliability, great picture quality and simple installation and operation. Sea Tel Coastal 18 Satellite TV is small in size, but big on features, with superior quality and performance for TV-at-Sea suited to yachts and smaller crafts. Sea Tel Coastal 18 Satellite TV features a compact 18-inch dish which provides a wide coverage range so you don’t have to leave your favourite programmes on a cliff hanger or miss the big game just because you’re spending time sea. This small, lightweight system, with 2-axis stabilisation, has a greater reception range and stronger signal than its 24-inch antenna competitors – for big performance on boats and smaller vessels. Sea Tel Coastal 18 Satellite TV’s sharp performance gives consistency of service and quality reception even in inclement weather, when sailing on coastal waters. Its Digital Video Broadcasting (DVB) signal identification, proprietary antenna control and fast-track signal lock software help Sea Tel Coastal 18 Satellite TV achieve supreme stabilisation and satellite tracking. Sea Tel Coastal 18 Satellite TV accommodates any number of satellite receivers, meaning you and your guests can each enjoy their own choice of programming. Multiple satellite receivers mean many television sets can be installed, each receiving its own TV and music channels from individual satellite receivers, for independent viewing. Sea Tel ST24 Satellite TV’s high elevation range and choice of automatic or manual skew control gives you the maximum flexibility and reach for the best reception. With two axes of stabilisation and one axis of polarisation, it provides strong satellite TV reception at higher latitudes while finding the optimal skew angle for maximum signal strength. Sea Tel ST24 Satellite TV system has been protected against motion and connection interference to ensure consistency of operation and unspoilt viewing pleasure for passengers and crew onboard. Sea Tel ST24 Satellite TV’s complete antenna stabilisation system including proprietary antenna control and fast-track signal lock software detects the slightest motion and compensates/corrects accordingly. Enjoy one-touch operation with the 4.3-inch touchscreen Graphic Antenna Control Panel (GACP), which features clear icons, satellite selection and a list of presets for intuitive operation. The compact and clear display puts all the controls at the tip of your finger, with familiar menu items for everything you need on tap. Sea Tel ST24 Satellite TV supports any number of satellite receivers so many TVs can be installed and individually programmed for the enjoyment of everyone on board. Sea Tel ST24 Satellite TV is compatible with most Ku-Band HDTV services worldwide for digital TV and music programming, so with the ability to have as many TVs on board as you like, everyone can watch their favourite programmes. 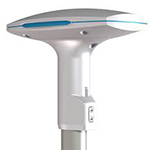 As the smallest new generation Sea Tel TV antenna, it is ideal for installation on vessels where rea-estate is at a premium. Installation is easy, and if you’re upgrading from a legacy ’04’ Sea Tel TV antenna, Sea Tel 80 TV will slot right in. With entertainment facilities important for experienced workers and younger crew members alike, you can’t afford to have even a few hours of TV downtime. But with Sea Tel 80 TV, you can ensure that television is always available on board, even when moving between satellites and regions. 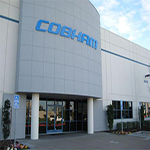 All Sea Tel TV systems are designed in Cobham SATCOM’s state-of-the-art R&D centre in Concord, US. 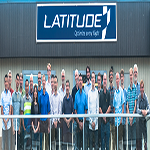 This unique facility is dedicated to developing world-leading satellite communication innovations for a wide range of commercial, government and military projects. 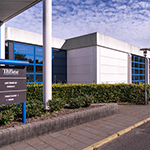 Built in our new 25,500m2 super factory in Denmark, which houses the industry’s most sophisticated production and testing facilities for maritime satellite technologies, Sea Tel 80 TV uses only the highest quality components so you can be confident that it will last, and keep delivering quality satellite broadcasting for years to come. With the world-class design, manufacturing and technology applied to Sea Tel 80 TV ensuring reliable, high quality television on board, it’s still great to know that Cobham SATCOM offers alongside online and offline troubleshooting, a Global Service Solution that enables us to help maintain your Sea Tel equipment wherever you are. 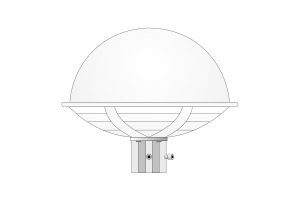 The Sea Tel 100 TV features a 101cm antenna in a 136cm diameter frequency tuned radome that is designed to minimise signal loss and add to the high quality viewing on offer. As the mid-size entry in the new generation Sea Tel TV antenna, it offers the ideal size /performance combination for a wide variety of vessels. Installation is easy, and if you’re upgrading from a legacy ’04’ Sea Tel TV antenna, Sea Tel 100 TV will slot right in. Other features such as the advanced programmable LNB and integrated DVB-S2 tuner for reception and identification of DVB-S2 and DVB-S satellite broadcasts ensure that when you choose the Sea Tel 100 TV, you get one of the most convenient yet advanced maritime TV solutions available today. With entertainment facilities important for experienced workers and younger crew members alike, you can’t afford to have even a few hours of TV downtime. But with Sea Tel 100 TV, you can ensure that television is always available on board, even when moving between satellites and regions. The Sea Tel 100 TV is rigorously tested on a unique maritime antenna testing platform, using motion and conditions encountered on a huge range of vessels. This helps to ensure complete reliability and longevity, even in extreme conditions and climates. Built in our new 25,500m2 super factory in Denmark, which houses the industry’s most sophisticated production and testing facilities for maritime satellite technologies, Sea Tel 100 TV uses only the highest quality components so you can be confident that it will last, and keep delivering quality satellite broadcasting for years to come. 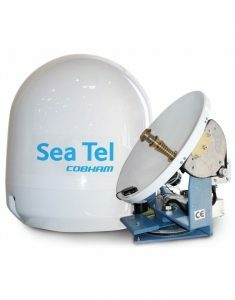 With the world-class design, manufacturing and technology applied to Sea Tel 100 TV ensuring reliable, high quality television on board, it’s still great to know that Cobham SATCOM offers alongside online and offline troubleshooting, a Global Service Solution that enables us to help maintain your Sea Tel equipment wherever you are. Installation is easy, and if you’re upgrading from a legacy ’04’ Sea Tel TV antenna, Sea Tel 120 TV will slot right in. 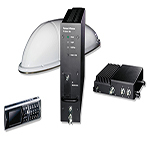 Other features such as the advanced programmable LNB and integrated DVB-S2 tuner for reception and identification of DVB-S2 and DVB-S satellite broadcasts ensure that when you choose the Sea Tel 120 TV, you get one of the most convenient yet advanced maritime TV solutions available today. With entertainment facilities important for experienced workers and younger crew members alike, you can’t afford to have even a few hours of TV downtime. But with Sea Tel 120 TV, you can ensure that television is always available on board, even when moving between satellites and regions. 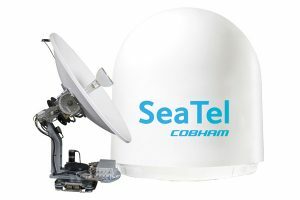 With the world-class design, manufacturing and technology applied to Sea Tel 120 TV ensuring reliable, high quality television on board, it’s still great to know that Cobham SATCOM offers alongside online and offline troubleshooting, a Global Service Solution that enables us to help maintain your Sea Tel equipment wherever you are. 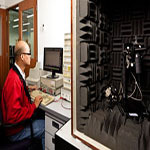 Since the introduction of digital terrestrial broadcasts in many places of the world, issues with intermodulation are increasing. SAILOR Mark 32ALC antenna is designed and built especially to handle these issues, so you can be sure to experience the highest quality and superior performance available. SAILOR Mark 32ALC is an active omni-directional Radio/TV antennas for reception of terrestrial (land based, 0.1-890 MHz) analogue and digital broadcast signals at sea. SAILOR Mark 32ALC is designed to withstand the toughest conditions to ensure extremely high durability. SAILOR Mark 32ALC may be used for coaxial cable networks when only FM-TV reception is required or in combination with SAILOR Mark 32ALC antenna for improved AM-reception. 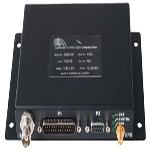 Three independent low-noise amplifiers equipped with Automatic Level Controls (ALC) ensure maximum sensitivity to weak signals near the edge of the coverage area and prevent harmful intermodulation in the presence of powerful transmitters. AIS transmitters are used on almost all commercial vessels and have the potential to completely overload an unprotected antenna. In SAILOR Mark 32ALC highly efficient suppression filters prevent signals from AIS as well as VHF transmitters from interfering with reception. 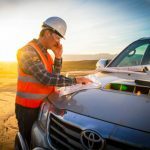 Since the introduction of digital terrestrial broadcasts in many places of the world, issues with intermodulation are increasing. SAILOR Mark 30ALC antenna is designed and built especially to handle these issues, so you can be sure to experience the highest quality and superior performance available. SAILOR Mark 30ALC is an active omni-directional Radio/TV antennas for reception of terrestrial (land based, 40-890 MHz) analogue and digital broadcast signals at sea. SAILOR Mark 30ALC is designed to withstand the toughest conditions to ensure extremely high durability. 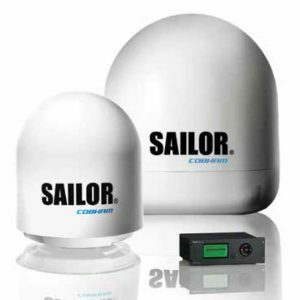 SAILOR Mark 30ALC may be used for coaxial cable networks when only FM-TV reception is required or in combination with SAILOR Mark 30ALC antenna for improved AM-reception. AIS transmitters are used on almost all commercial vessels and have the potential to completely overload an unprotected antenna. 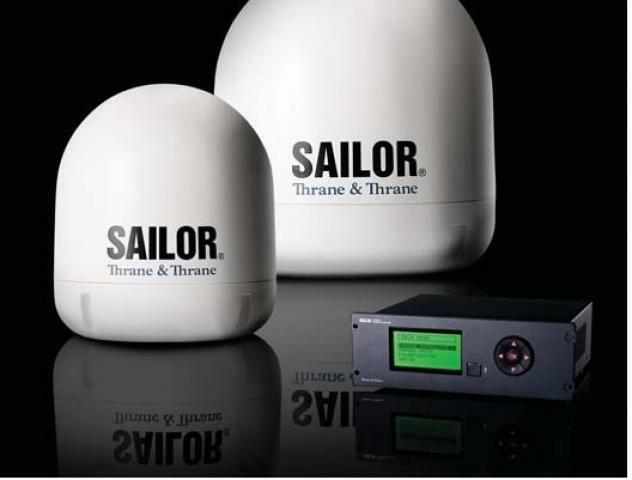 In SAILOR Mark 30ALC highly efficient suppression filters prevent signals from AIS as well as VHF transmitters from interfering with reception.